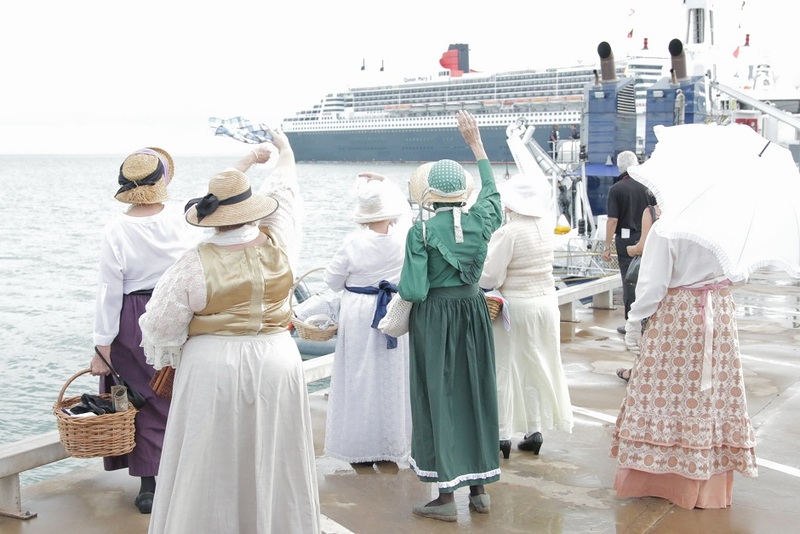 Volunteers in period costume for The Borella Ride farewell the Queen Mary 2 as it leaves port. The Borella family watch the Swordfish (renamed the SS Aldenham for the occasion) depart Stokes Hill Wharf, carrying the suitcase Albert Borella took to war with him. Photo Creative Light Studios/NT Major Events Company. After the 12 day journey through the Outback The Borella Ride finally arrived in Darwin on the afternoon of Tuesday, 3 March. The team reached Berrimah station on the train provided by Genesee & Wyoming and was enthusiastically met by Chief Minister Adam Giles. 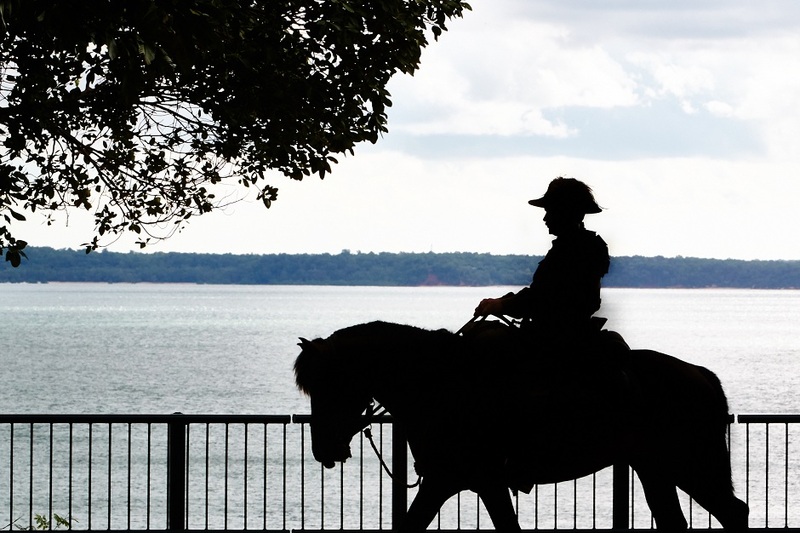 When Albert Borella arrived in Darwin on the train in 1915, he found he was unable to sign up for the Great War as the Territory was not taking enlistments at the time. So he gained passage on the steamship SS Aldenhamwith the help of Darwin locals and arrived in Townsville, where he enlisted on 15 March 1915. 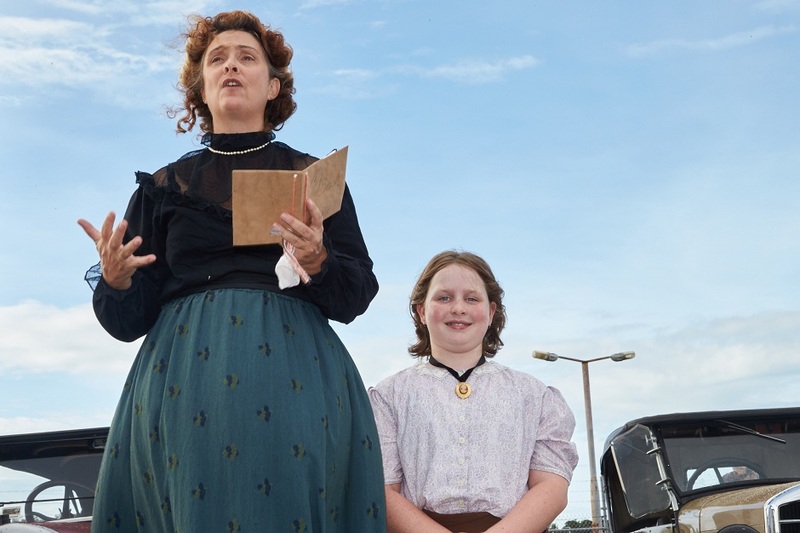 It was a great relief for the team to have made it, but there was one more leg to complete, from the top of The Esplanade to Stokes Hill Wharf where the final ceremony for The Borella Ride was held. 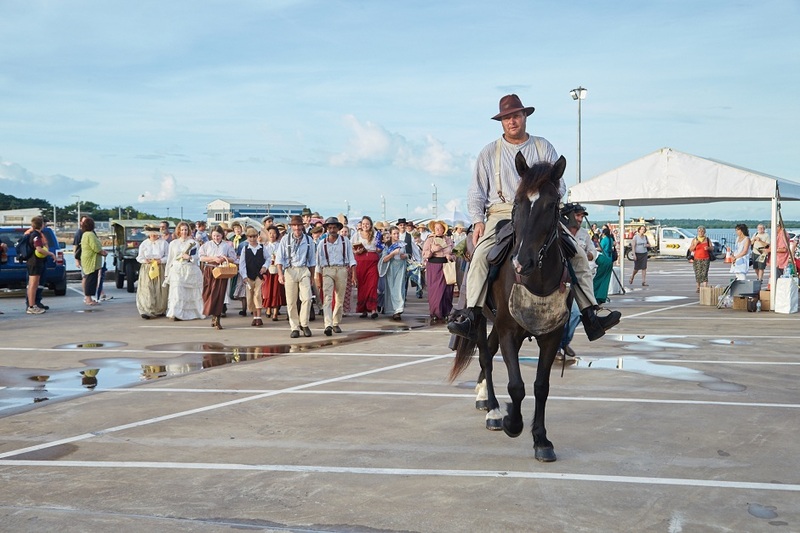 The procession was led by Luke Nolan dressed as a Light Horseman, followed by Richard Borella on horseback, and Tim George and Charlie Cloos on foot. 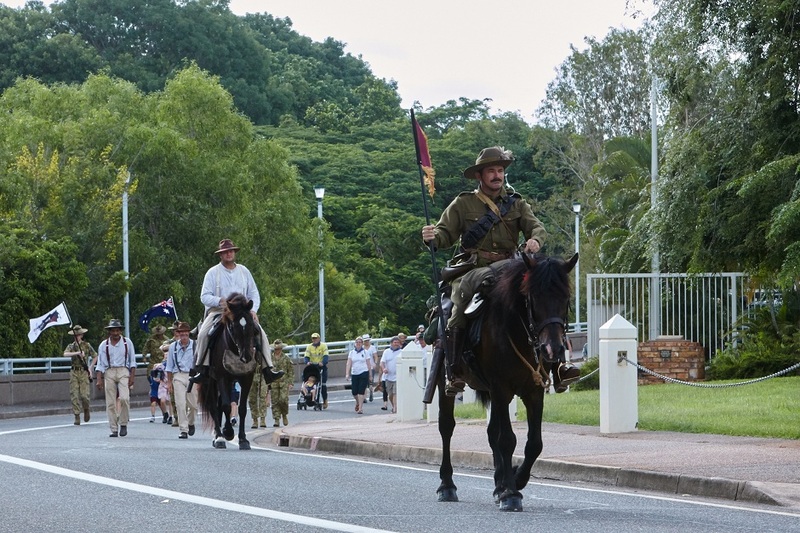 Three Army Cadets were flag bearers, leading the group of community members who took up the invitation to join The Borella Ride for the final leg. Arriving at Stokes Hill Wharf was like stepping back in time. 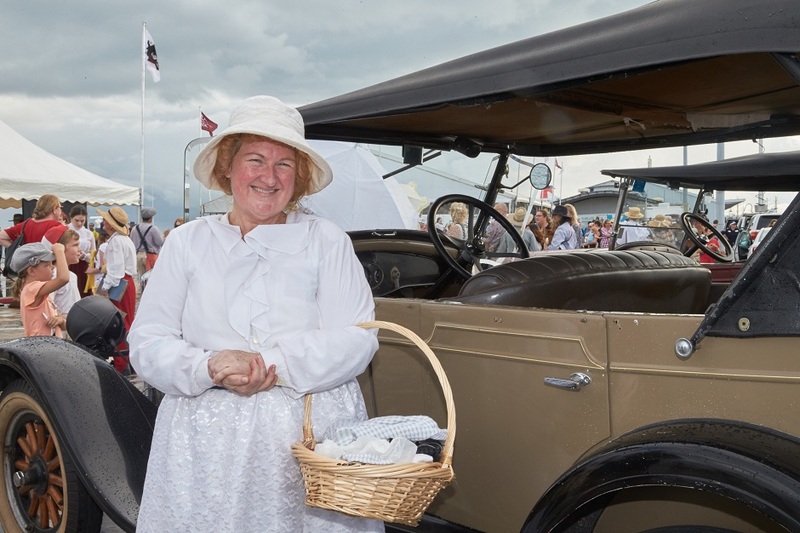 Nearly 100 volunteers dressed in period costumes strolled around the wharf, read poetry and gathered around the vintage cars and a motorcycle from 1907. The Darwin Brass Band played songs from the era and a Rondalla Band entertained everyone as they arrived. Albert Borella’s Victoria Cross was on display in a secure cabinet on the wharf. One of only 100 Victoria Crosses awarded to Australians, it was a special opportunity for the public to view the prestigious medal. 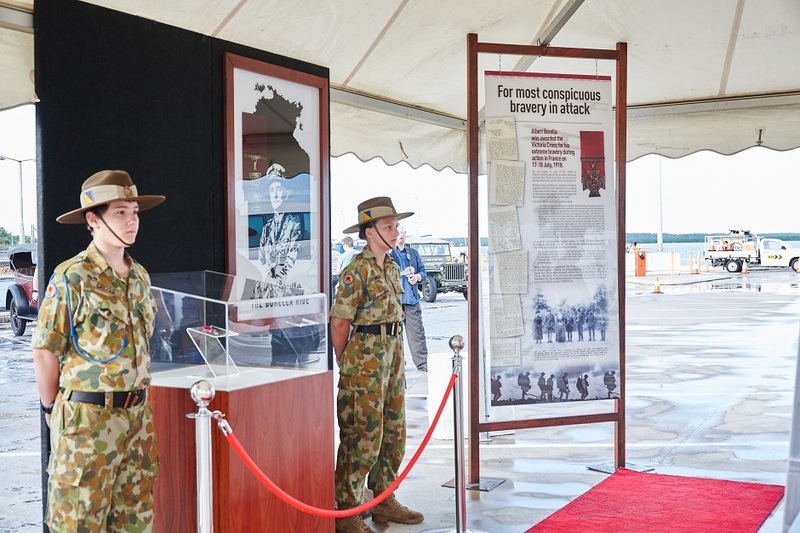 The official ceremony was held under a marquee, with Ray Martin AM as the MC and a number of dignitaries and special guests in attendance, including the Administrator of the Northern Territory John Hardy OAM and Chief Minister Adam Giles. It was a great privilege to hear speeches from Victoria Cross recipient Keith Payne VC OAM, and Doug Baird the father of the most recent recipient of the Victoria Cross, Corporal Cameron Baird VC MG.
Rowan Borella addressed the gathered crowd to share what The Borella Ride revealed about the character of his father and his experience in the Northern Territory 100 years ago. Rupert McCall performed his stirring poem The Ballad of Borella one more time. The national anthem was sung and then The Borella Ride finally arrived to great applause. 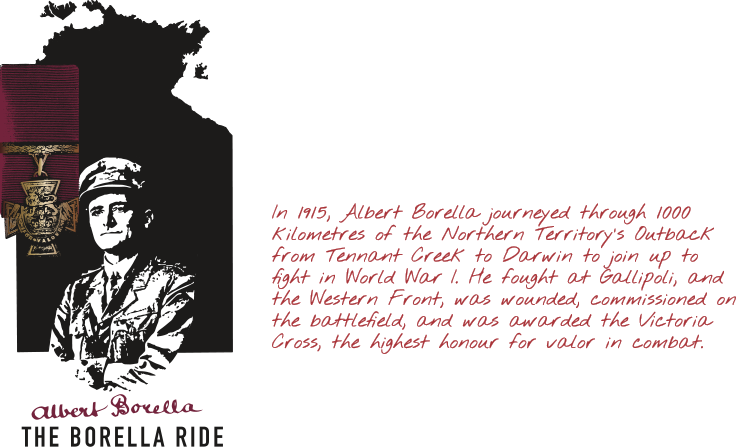 As The Borella Ride came to a close it was time to commemorate Albert Borella’s journey from the Territory and recognise his remarkable military accomplishments. 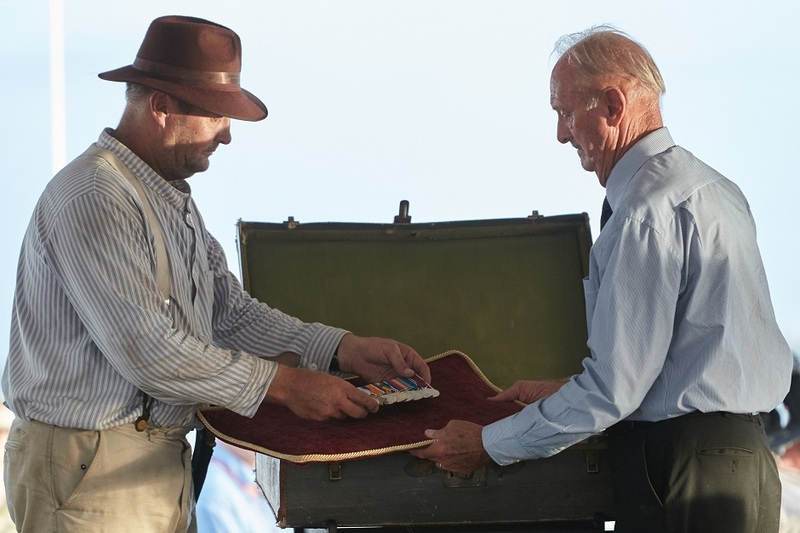 Richard Borella joined his father on stage and together they placed Albert Borella’s replica medals and his identification tags into the suitcase that Albert Borella took to war with him 100 years ago. 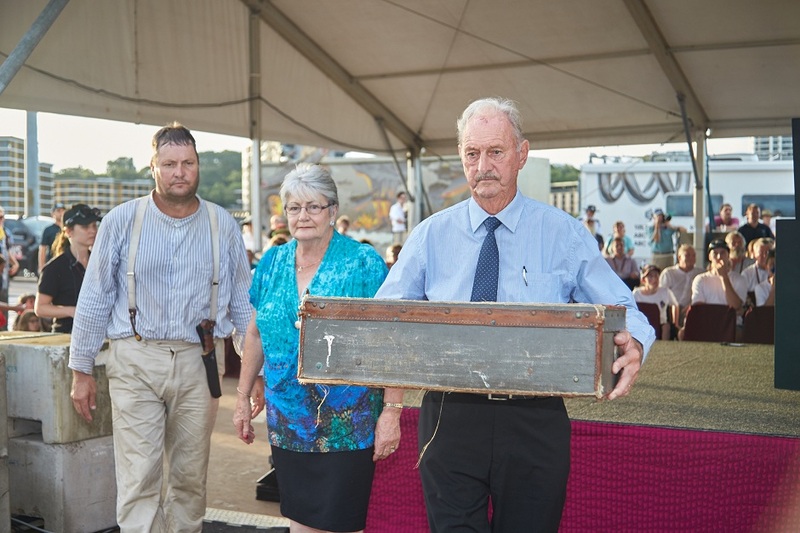 The Borella family then handed the suitcase to the crew of the Swordfish, a local vessel which was renamed the SS Aldenham for the occasion. 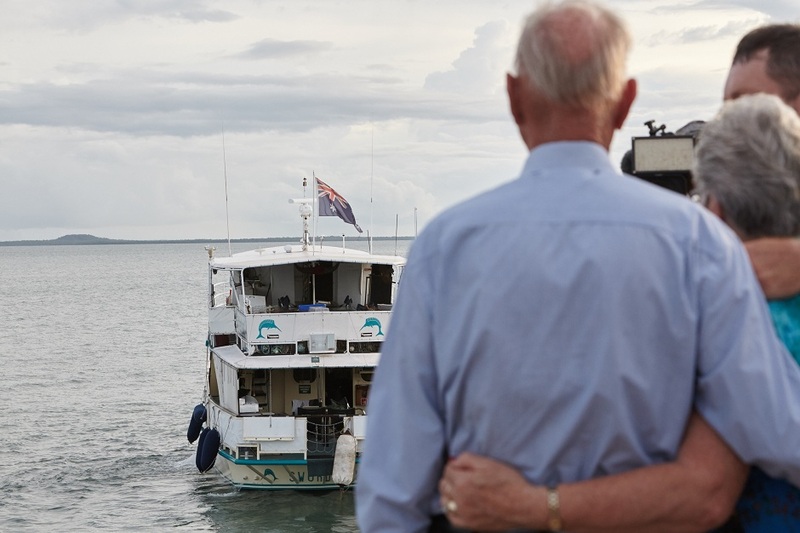 In an emotional moment, signifying the end of The Borella Ride, the crowd watched as the boat slowly pulled out from the wharf and sailed out to sea. The Darwin Brass Band played ‘Auld Lang Syne’ and ‘Road to Tipperary’, the same songs the well-wishers in Darwin sung 100 years ago for the departure of the ship carrying Albert Borella and other volunteers to Townsville. 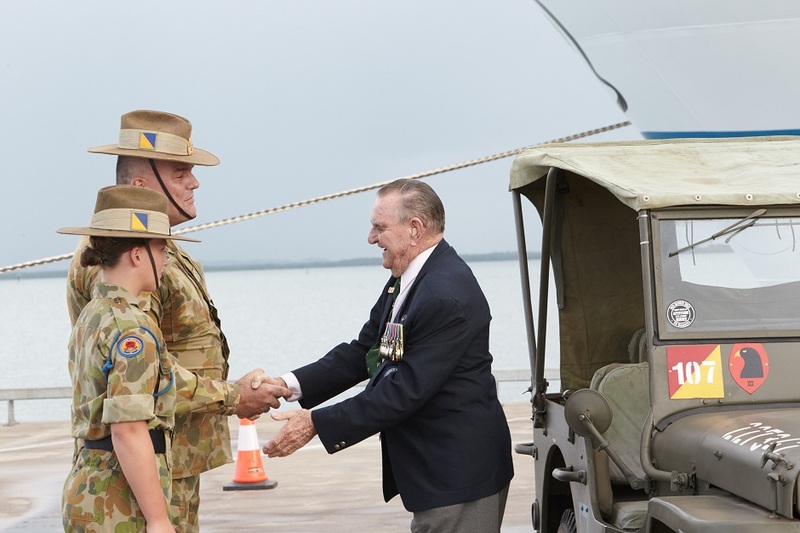 The Northern Territory’s flagship Anzac Centenary activity came to a close, with the massive Territory and Australian flags falling from the sky, with aerial skydivers landing with precision on the wharf. The Borella Ride will hopefully leave a lasting legacy with everyone who met the team, watched the nightly updates on the television or through social media, and participated in the ceremonies.